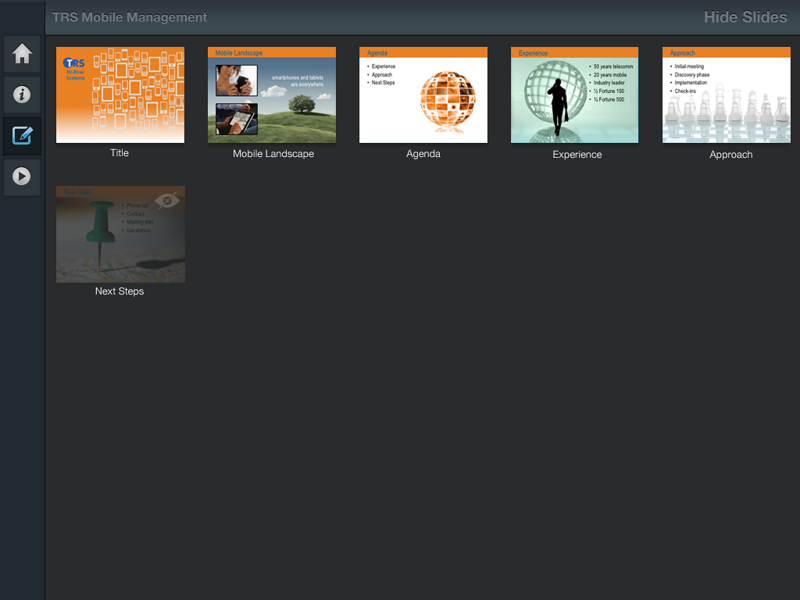 Background: Slideshark is an app powered by the SaaS presentation platform, Brainshark. 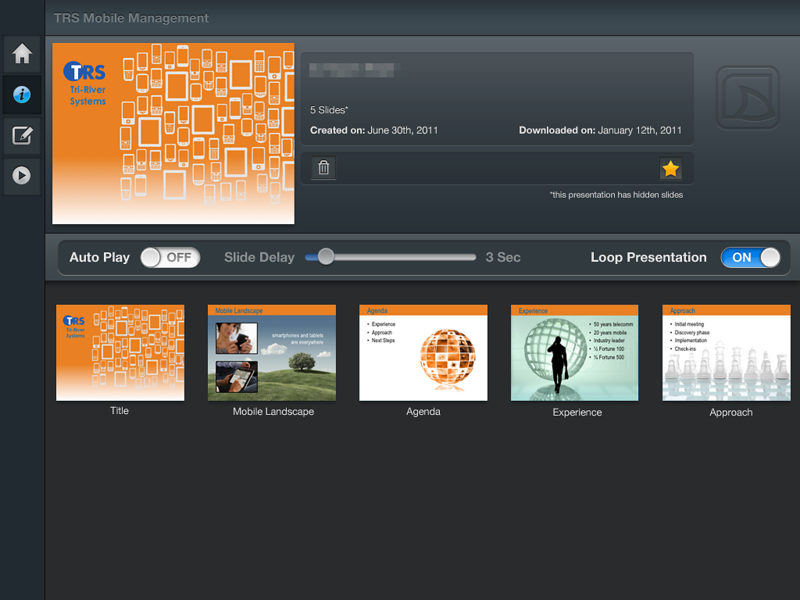 Slideshark allows users to give rich powerpoint presentations with the mobility and flexibility of an iPad. Slideshark has rapidly grown to over 1M active users. Responsibilities: Designed all the user interactions, original concepts and design vision with a small cross-functional development team. Used ‘Lean UX’ principles to deliver a tested, constantly iterated iOS application in only a few months from concept to App Store acceptance. 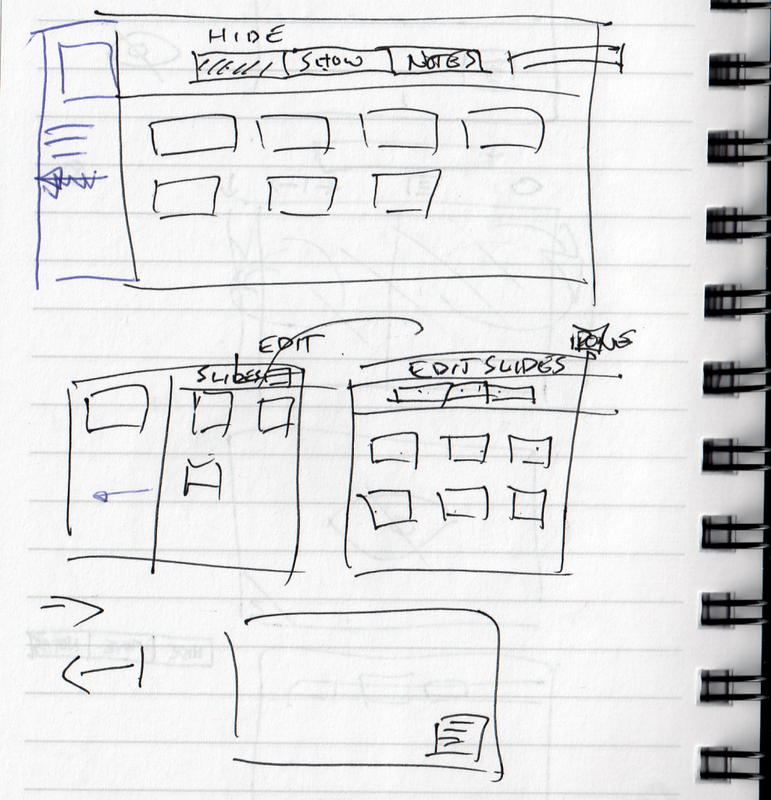 Some of the first sketches working on layout of the application. Slideshark login page, including a tutorial that would explain how it worked before you signed up. 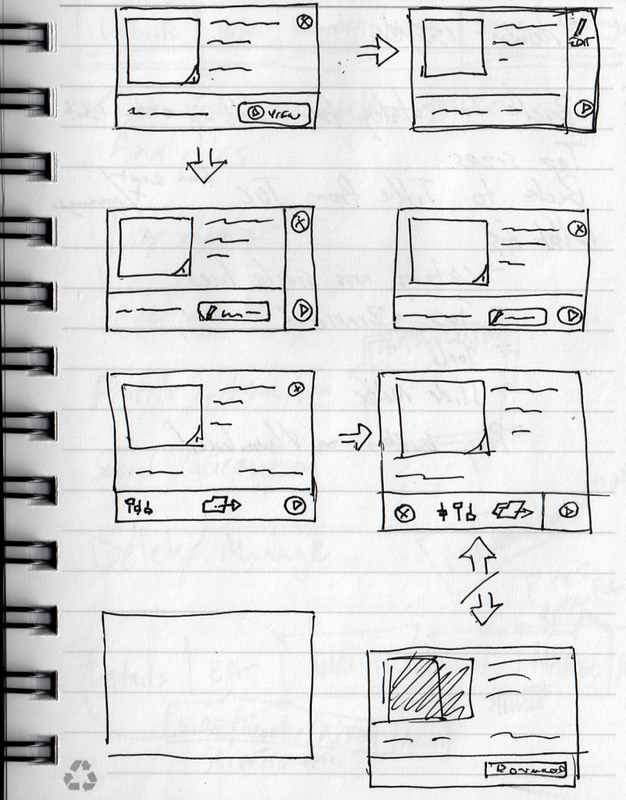 Different layout ideas for presentation cards and the actions we wanted to allow from the main level. Basic actions were entry points into different configuration options for the presentation. 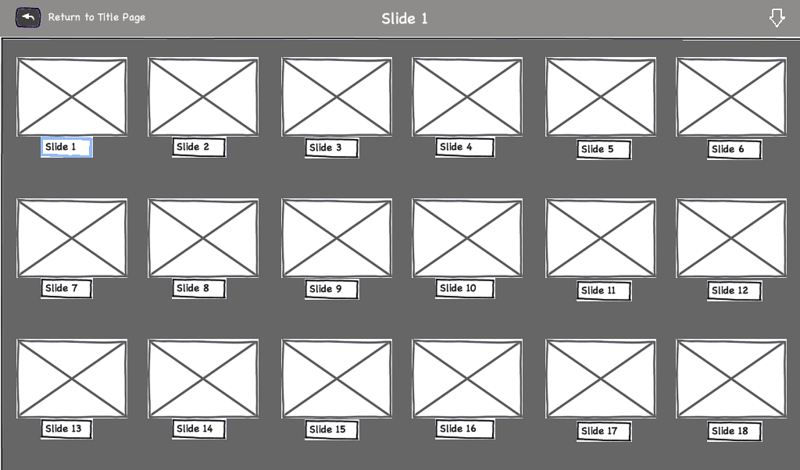 Main slideshark screen, circa 2011. 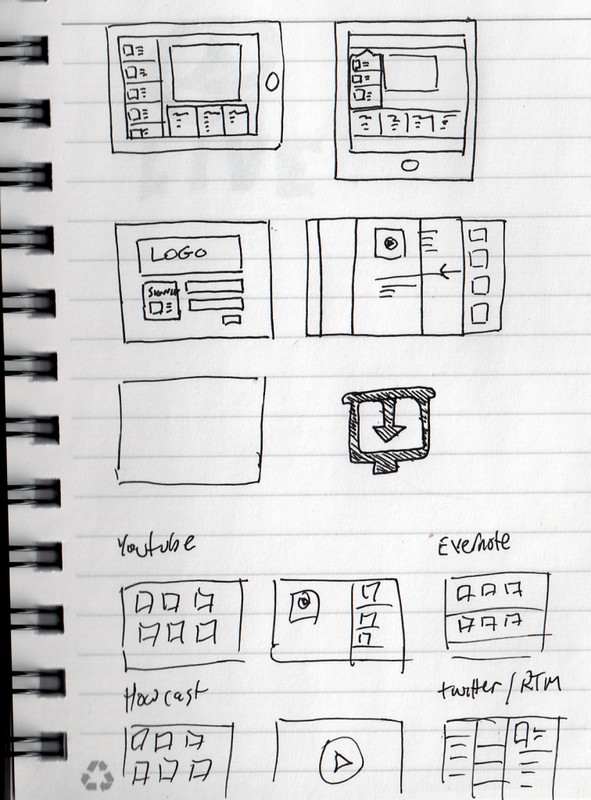 Original sketches for e selected presentation layout. After user testing and feedback we shifted to this layout to allow us more control over future enhancements we wanted to make. Design of the selected presentation layout and configuration options and associated actions. 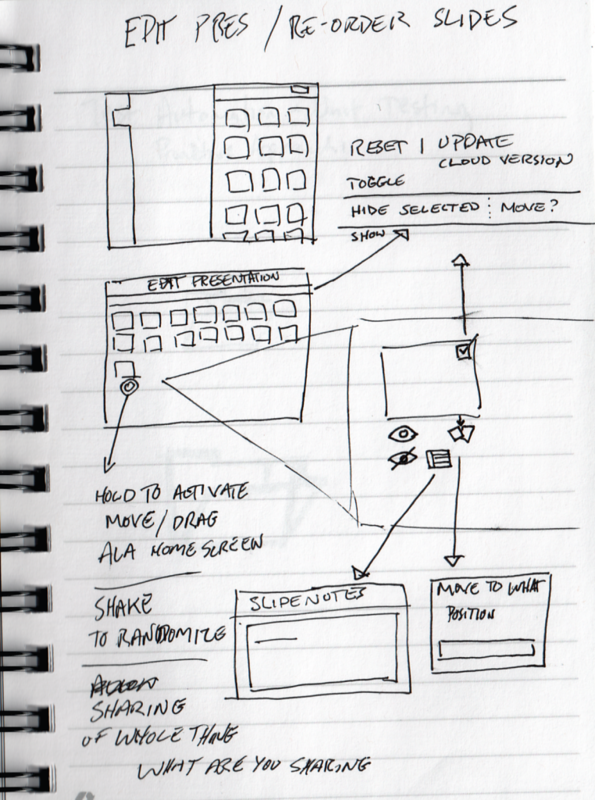 I would often create quick Balsamiq mockups while working with Developers and Product Managers. 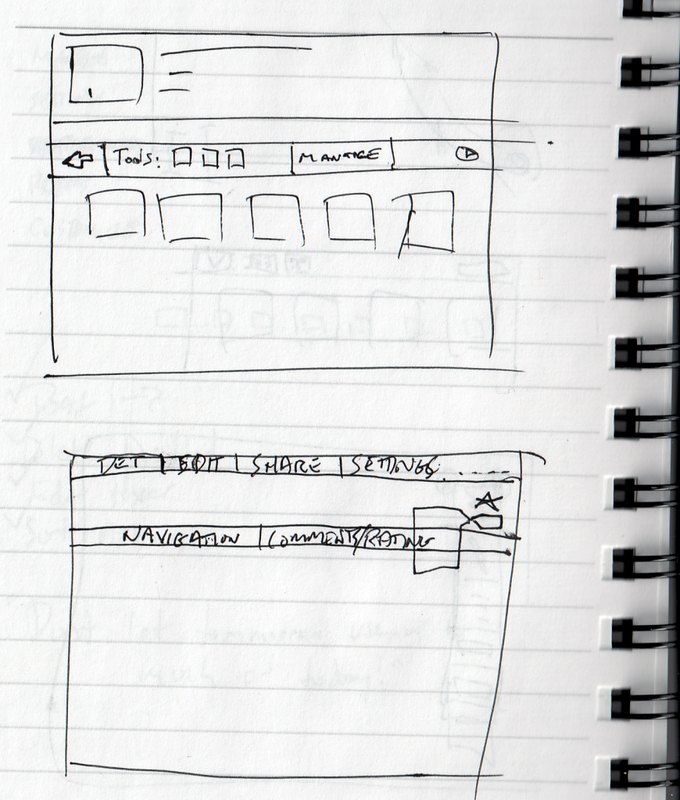 Final design of the slide tray based on sketches and wireframes. A feature we added after the initial launch allowed for the reordering of slides, along with hiding slides from view during the live presentation. Slides could be reordered through drag and drop, and tapped to toggle their visibility.